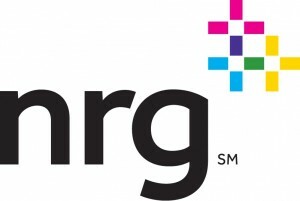 TruQC is excited to announce the addition of NRG Energy to our client roster. NRG is at the forefront of changing how people use energy. Whether as the largest solar power developer in the country or by giving customers the latest tools to better manage their energy use, NRG is a pioneer in developing smarter energy choices. NRG recently announced their latest commercial project with the MGM in Las Vegas, where they’ll be installing the world’s largest rooftop solar array of any conference center. Once completed, it will produce electricity to more than 1,000 Nevada homes. NRG Energy will be using TruQC on their Ivanpah Solar Electric Generating System, which is responsible for serving energy to over 140,000 homes in California. After receiving a $1.6 billion loan guarantee by the US Department of Energy, NRG began construction on Ivanpah in 2010 and finished in 2013 and has since nearly doubled the amount of commercial solar thermal electricity produced in the US today. TruQC is helping NRG Energy document the care and maintenance of more than 300,000 software-controlled mirrors, which track the sun in two dimensions and reflect the sunlight to boilers that sit atop three 459 foot tall towers in order to generate electricity. To find out more about TruQC’s partnerships, visit our clients page.